“A difficult golf course eliminates a lot of players. The U.S. Open flag eliminates a lot of players. Some players just weren’t meant to win the U.S. Open. Quite often, a lot of them know it.” – Jack Nicklaus, on the traditional Open setup. And with that we are off to Haverford Township, Pennsylvania for the 113th US Open being played on East Course at Merion Golf Club. It is a Par 70, 6,996 yard course. The East Course is a traditional US Open style setup which will be a test for all those teeing it up this week. It will be punishing and brutal with narrow fairways, thick rough and many contours on the greens. Jack Nicklaus has hit the nail on the head. Many players will be beaten before they have even walked onto the first tee. 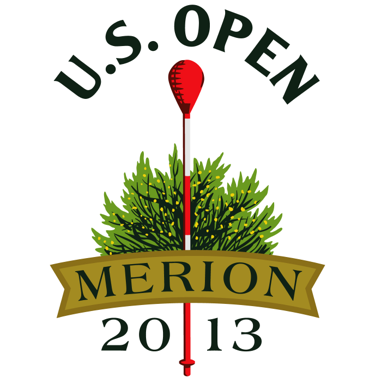 This will be the fifth time that the Merion Golf Club has hosted the U.S Open. Past winners have been Olin Dustra (1934), Ben Hogan (1950), Lee Trevino (1971) and David Graham (1981). This week will be a true test of shot making with the narrow fairways ready to punish any player who strays off track. If you do happen to leave the fairway you can expect to find yourself in the thick rough that is sure to test even the most experienced players. Then you have to contend with the contoured greens which will prove hard to hit in regulation should you find yourself playing from anywhere other than the fairway. You want to be hitting plenty of fairways and greens in regulation. Like all U.S Opens ball striking will be at a premium. Course management will be required as well as knowing when to play it safe or go for glory. With only two Par 5’s available all players will be looking for the holes to score low on. Tiger Woods 11/2. Four wins this season from eight starts! Winning the Farmers Insurance, WGC Cadillac Championship, Arnold Palmer Invitational and The Players Championship. Matt Kuchar 20/1. Looking for his third win for the season after claiming the WGC Accenture Match Play and Memorial Tournament, which was his last start. Rory McIlroy 20/1. Much has been said about his poor results this year, however he has made eight cuts from nine starts. Phil Mickelson 20/1. Won the Phoenix Open earlier this year and is coming off a T2nd last week at the St Jude Classic. Hitting form at the right time. Adam Scott 20/1. Masters Champion this season, no missed cuts from seven starts and coming off a T13th at the Memorial Tournament. The World Number 5 player is having a great season on the PGA Tour. From eight starts he has missed just the one cut. Those seven made cuts have all resulted in Top 25 finishes! Four of those went to to be Top 10 finishes. Those Top 10’s were T4th Honda Classic, T8th WGC Cadillac Championship, 2nd Arnold Palmer Invitational and T8th Memorial Tournament. His last start was in the Memorial Tournament so he is coming into this tournament in good form. Rose has also had three starts on the European Tour this year where he had results of T2nd Abu Dhabi Championship, T16th Qatar Masters and T50th BMW PGA Championship. Last season Justin started in all four Majors and recorded two Top 10 finishes; T8th Masters Tournament and T3rd PGA Championship. When you look at his stats this year, they are ideal for this tournament. 17th in driving accuracy, 7th in greens in regulation, 6th in scoring average, 3rd in ball striking, 7th in scrambling and 1st in par 5 birdie or better average. Expect to see Rose high up on the leaderboard heading into the weekend. Come Sunday he could be lifting the trophy. When it comes to stats you can not go past Henrik Stenson. Look no further. Stenson has all those attributes. He is ranked 1st in driving accuracy, 3rd in greens in regulation, 2nd in ball striking, 3rd in scrambling from the rough and 23rd in scoring average. Henrik has had ten starts on the PGA Tour this season and made eight cuts. Three of those were Top 10 finishes. They included T8th Arnold Palmer Invitational, T2nd Houston Open and T5th Players Championship. At the current odds available Henrik represents great each way value. We had another great week of results at the St Jude Classic. Ryan Palmer finished 4th while John Rollins finished 6th. This entry was posted in Golf and tagged Golf, Merion Golf Club, Players Championship, US Open on June 11, 2013 by karenunchained.